Vol. III Reggae/World is a collection of Gold and Platinum songs recorded, by reggae stars and undiscovered artist from around the world. There are many people around the world that enjoy and listen to reggae; but many others that have not really listen to reggae music, mostly because they cannot understand the music and what the artist is singing. That is no longer a problem as Reggae/World features all well-known songs performed by Reggae and World artist from around the world. This CD is great for theme pool parties or just enjoying the great vibes and feeling that Reggae and World music offers from songs you know. For more than 25 years HousTone Records has released LP/CDs, from the fields of Rock, Jazz, Classical, Blues, Country, New Age, Reggae, World Beat and R & B. One of the key elements in HousTone Records signing, processing, selecting and distributing artist’s products is, the artist must agreed to record for the CD two well known cover songs. This allows the artist music to be judge by fans for the talent they have, from the music they know. 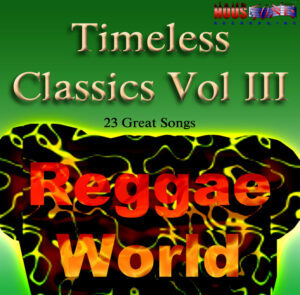 UB40, Bunny Wailer, Big Mountain, Shaggy, Little Kirk, Aswad, Dennis Brown, Sammy Levi, Fauzi & Tribo De Jah, Johnny Dread, Tony Tribe, Fugees, Mikey Spice are just some of the artist on the Timeless Classics Vol. III Reggae/World compilation. Hear their versions of some of your all time favorite songs like No Woman No Cry, Man In The Mirror, Me And Mrs. Jones, Ribbon In The Sky, What A Wonderful World, Now That We’ve Found Love, Girl From Ipanema, Wings Of Love, Killing Me Softly, Roxanne and many other million selling hits featured, on Timeless Classics Vol. III Reggae/World CD. HousTone Records does not except unsolicited material. Artist can submit a request to have, 3 songs reviewed and one of the three must be a well-known cover song. Submit request by E-mail only but hard copy promo package must be sent by regular mail only.